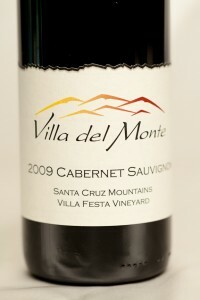 Los Gatos, CA — March 9, 2011: Villa del Monte Winery is pleased to announce that the 2011 Monterey Wine Competition has awarded a Silver medal to our 2009 Cabernet Sauvignon Santa Cruz Mountains Villa Festa Vineyard. This prestigious competition, held on March 5-6 in King City, CA, attracted more than 800 entries representing nine countries. The 2011 Monterey Wine Competition is a large, influential international wine competition. Over 800 wines from nine countries were entered in this year’s contest. The wines were evaluated by a prestigious panel of more than a dozen wine experts over two days, March 5-6, at Salinas Valley Fairgrounds in King City, CA. Wines were tasted blind with no knowledge of producer or price. For more information, visit http://montereywinecompetition.com/. Results are posted at http://www.winereviewonline.com/monterey_wine_competition_medal_winners_2011.cfm.